Pull an all nighter. Steal the spotlight. Whatever your coverage need, camouflage it flawlessly with Dermablend’s Smooth Liquid Camo Foundation. A medium coverage liquid foundation that offers invisible, weightless coverage that appears as skin, not makeup. I’m ridiculously excited about this. I love that this is a medium coverage that isn’t supposed to look like makeup. I’ve been wanting to try something from Dermablend for ages so this is right up my alley. Who doesn’t want their skin to look gorgeous? You can purchase this at a discounted price from ULTA on 9/15. It’s not just any beauty balm – it’s Naked Skin Beauty Balm – the BB cream with INSANE benefits. Unlike a lot of beauty balms, Naked Skin delivers measurable anti-aging benefits – and Urban Decay has the claims to prove it. And while many beauty balms are tinted to provide coverage, Naked Skin diffuses light with high-tech pigments to give you amazing, natural, NAKED-looking skin that keeps getting better every week. I was most drawn to this because of all the claims but especially because it promises to be both hydrating & perfecting. Because my skin frequently suffers from dryness, this seemed like a perfect addition to my beauty arsenal! I’ll be reviewing this soon as I’m saving it until I finish a bit more of my current BB cream. You can purchase this at a discounted price from ULTA on 9/18. Stila’s ingenious lipstick and blush-in-one proves to be irresistible. This versatile favorite brightens cheeks and lips with creamy, translucent color. Tap onto cheeks and press onto lips. I’ve been eyeing these in the store a lot lately because these hints of color are one of my favorite ways to wear blush year-round. I chose the color “Peony” because it is so natural. You’ll be seeing a full review soon but I love this shade! You can purchase this at a discounted price from ULTA on 9/24. 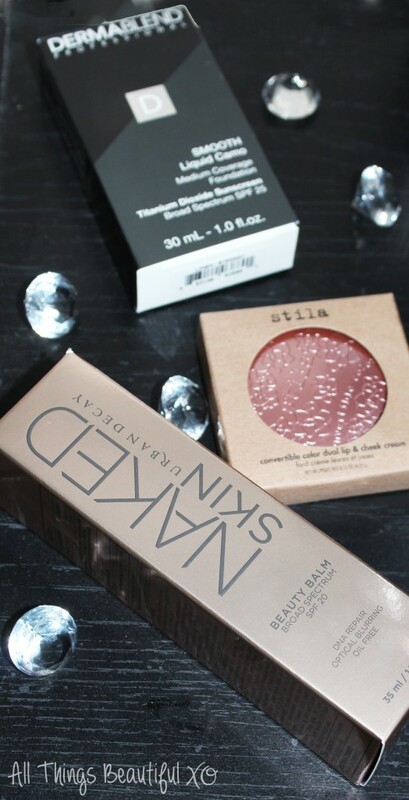 What are your picks from the ULTA sale this year? Tell me about it in the comments below! Urban Decay Naked Skin Foundation Demo & Review IT BRUSHES FOR ULTA – Your Superheroes Full-Size Travel Brush Set Review The Best It Cosmetics Face Brushes from the ULTA Collections Fall in Love with Zoella Beauty at ULTA!